Today the BFM brought his two lil ladies to Bhouy Park in Belfast City Centres Cathedral Quarter, right in front of the University of Ulster Belfast Campus, for the 2nd SFB event. Street Food Belfast is the brainchild of Gary Posnett and the good news is he plans on doing 3 more. 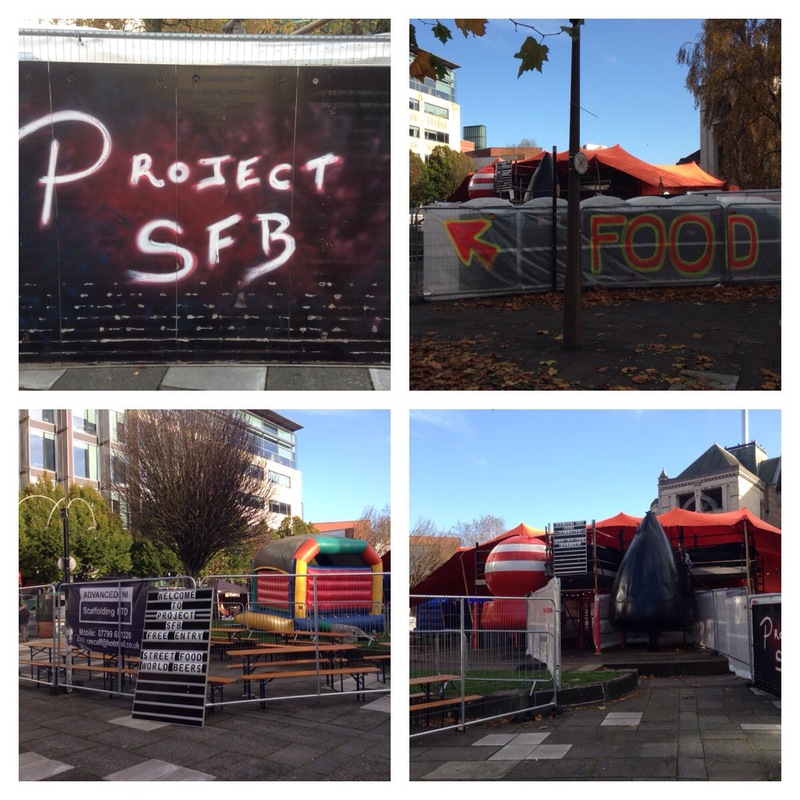 So what is Project SFB? Quite simply its a free event utilising open space in Belfast. There are food stalls, a bar from Laverys, music beats pumping out, bouncy castles for the kids and an amazing 2 floored funky red marquee. 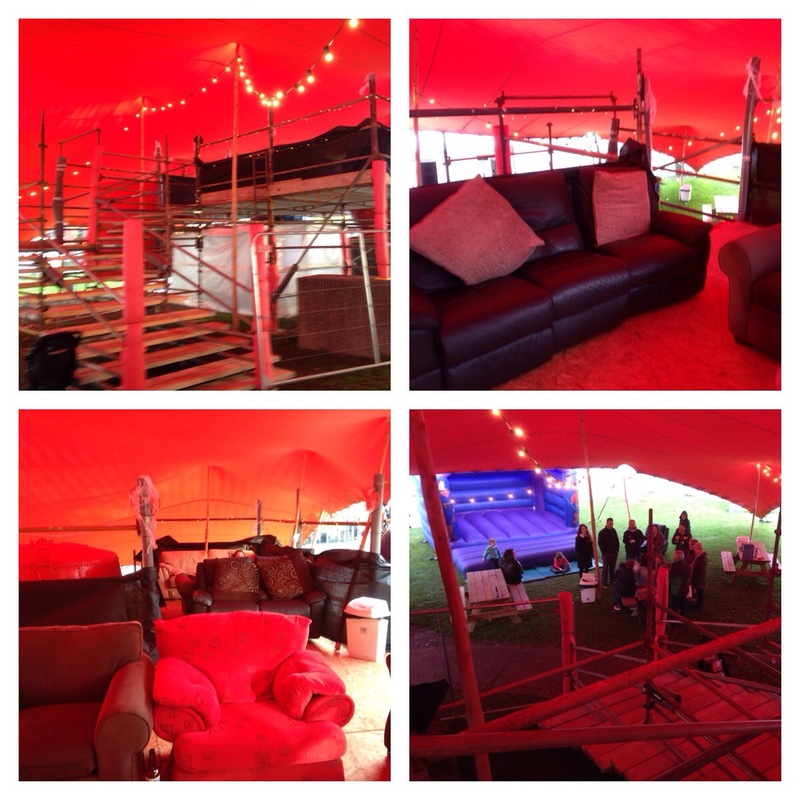 There are tables and chairs around the venue and on the 1st floor of the marquee is an awesome chill out area. 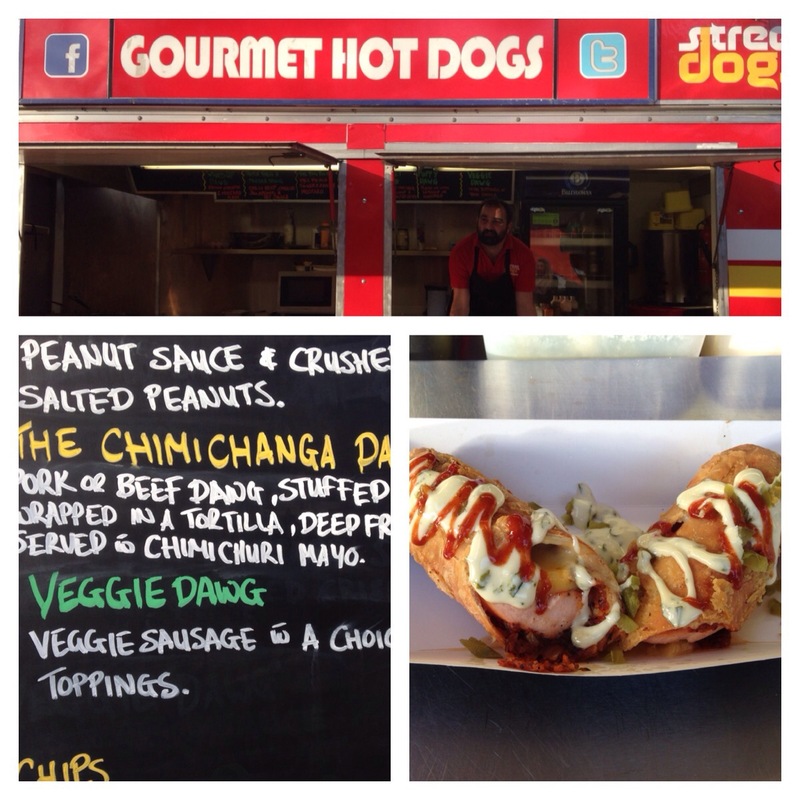 The food stands were Street Dawgs who introduced a new dawg, the Chimichanga Dawg. It was fab and my girls and I really enjoyed so thanks. 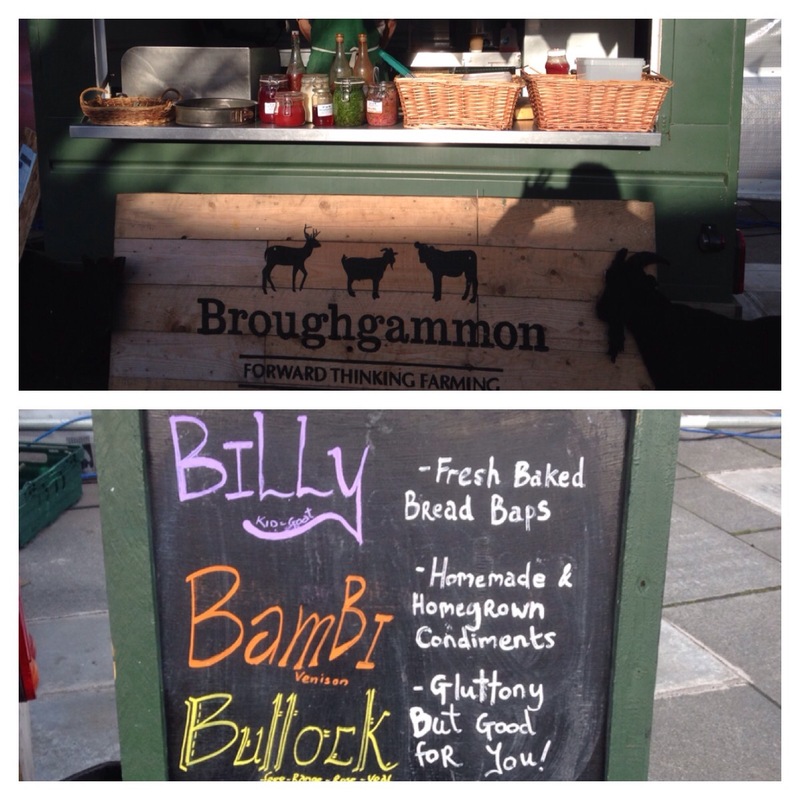 Broughgammon Farm was also present, once you try goat you will be converted. 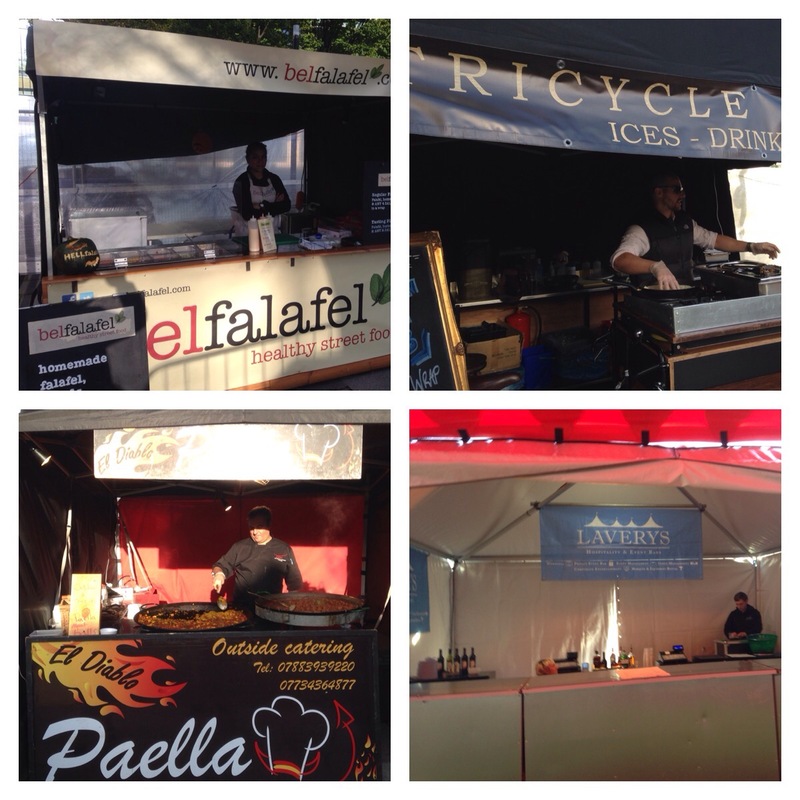 Also present was Tapitas serving their paella, Belfalafel serving fresh falafel, the Tricycle Trading Co selling pulled pork or brisket beef in wraps. They slow cook their meat for 14 hours!!! The first two days were wet and a bit miserable but today it was cool and crisp but dry. Only just seeing this now thank you so much. My 5 2015 events are in the planning and should be with you very soon. Again thanks for the great report. Thanks for following my blog. I hope you enjoy it. Can’t always guarantee Belfast architectural gems or food still-lifes, but keep watching. Belfast has come a long way since I was at Queen’s in the mid 40’s! Last time we were there was in 1990 and already there were big changes for the better – foodwise and otherwise. Must be great to be a food critic – I missed my vocation! Des.